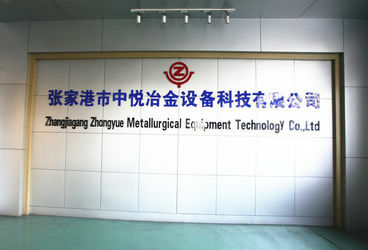 Zhangjiagang Zhongyue Metallurgy Equipment Technology Co., Ltd is located in Xiangshan Road, Jingang Town, Zhangjiagang City, Jiangsu Province, China. With the registered capital of RMB20,000,000 yuan, the company specialize in manufacturing high-frequency precision welded pipe lines, H-Beam steel pipe line, slitting machine, cold roll forming machine, cold rolling machine, angle steel machine, cold cutting saw machine etc.. At present, the annual production capacity is more than 150 sets. During more than ten years of continuous effective development, the company has already become quite well competitive in term of market share, technology, human resources and geographical location in its field. To maintain its competitiveness in the ever fierce competing market, the company has kept upgrading itself by improving innovation system, establishing human resources platform, building harmonious relationship with customers, improving quality of product and full-range of services. Hence, now, as one of the most popular and favorite vendors of our customers,we are the most advanced and play a leading role in field of domestic market for product quality and achievement in new products R&D and market development. 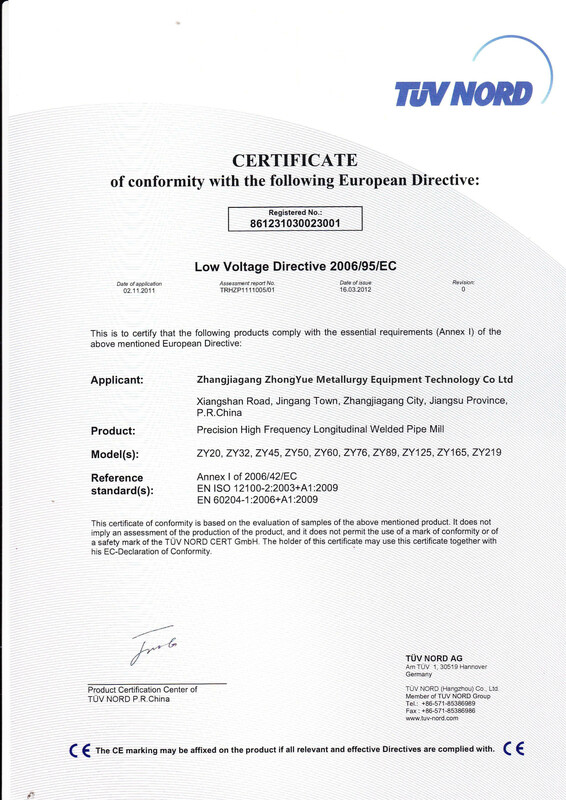 The company products are widely applied in the industries of welded pipe manufacturing, sports products, fitness equipment,medical apparatus and instruments, children’s goods, furniture, household electrical appliances, vehicles, ship building, petroleum transportation and power station etc..
We’d like to thank people for their support and love for Zhongyue Metallurgy Equipment. We’ll stick to the policy of "people-centered and quality-first". To build our enterprise bigger and stronger, we’ll have kept ourselves upgrading our management, improving our product quality, enhancing core competition of enterprise, and growing up with our customers through the technology innovation and high efficiency management to create greater value for customers and social return. 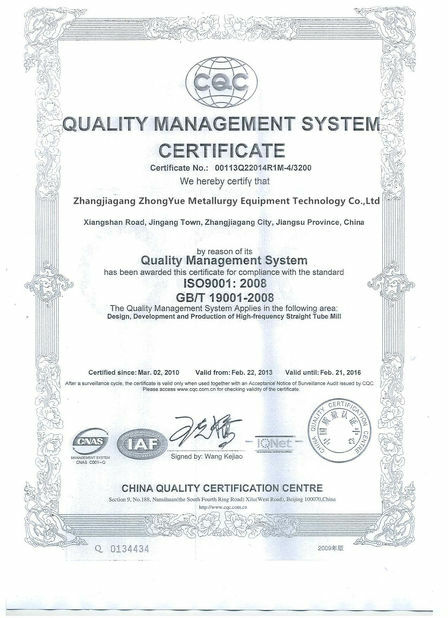 Zhangjiagang Zhongyue Metallurgy Equipment Technology Co., Ltd will have been adhering to “People Oriented, Strategy Focused” as its tenet and “enhancing customer satisfaction” as its goal; actively improving production management and marketing services, so that, we will contribute ourselves to the industry development, and continue to achieve best effect for our brand promotion and market share. At the same time, we will strive to independently develop innovative products, improve process techniques and enhance product competitiveness in terms of added value, to realize the enterprise and the customer, the enterprise and the society mutually beneficial and win-win to create a better future. In May 1994, Zhangjiagang Zhongyuan Pipe-making Co., Ltd was established. In May 1998, RMB ￥12 million was invested in the newly-built workshop. In February 1999, the newly-built Zhangjiagang Zhongyuan Pipe-making Co., Ltd was completed. In May 2005, the cold-rolled strip steel project of 50000 mt annual production capacity was put into operation in Jiangsu Zhongjia Steel Co., Ltd. In August 2005, Zhangjiagang Zhongxin Steel Sheet Co., Ltd was established. In March 2006, Jiangsu Meisman Pipe-making Co., Ltd was set up with the annual capacity of 200000 mt API Pipes. 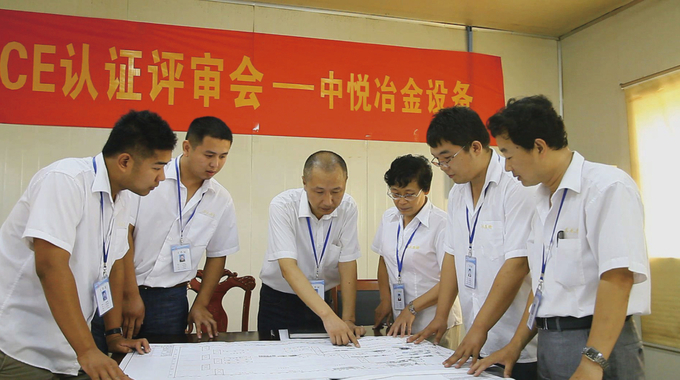 In May 2006, Zhangjiagang Pipe-making Institute Co., Ltd was founded. In May 2006, annual capacity of 150000 mt cold rolled steel strips was formally put into operation by Zhangjiagang Zhongxin Steel Sheet Co., Ltd. 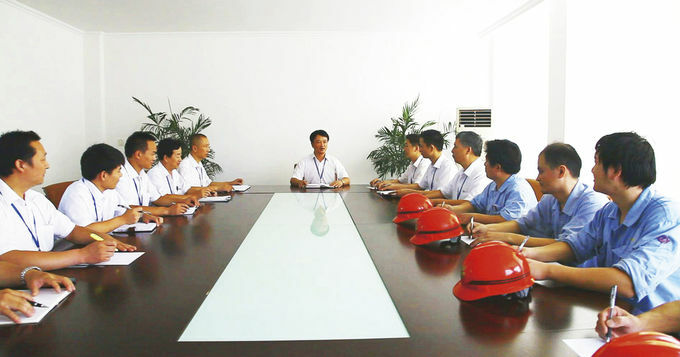 In May 2006, Jiangsu Qiyuan Group was formed. In December 2006, East Cement Share Company was set up in Ethiopia. In November 2007, the Eastern Industrial Zone was set up in Ethiopia. 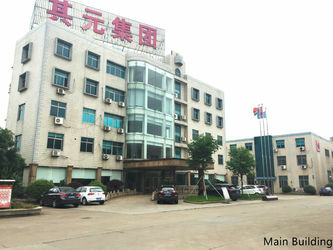 Jiangsu Yongyuan Investment Co., Ltd was established on June 2008. In August 2008, LQY Welded Tube INC was established in Houston of U.S. with the annual capacity of 50000 mt welded steel tubes. In August 2009, Zhangjiagang Zhongcheng Warehouse Logistics Co., Ltd was founded focusing its business on steel, warehouse and logistics. 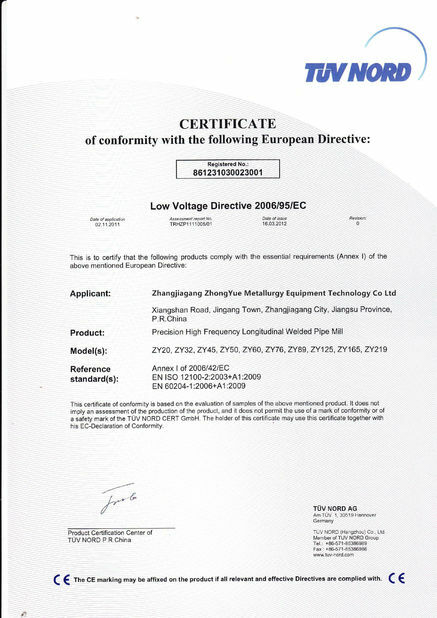 In September 2009, Jiangsu Zhonggang Metallurgical Equipment Technology Co., Ltd hiving off from Zhangjiagang Zhongyuan Pipe-making Co., Ltd into an independent company has specialized in manufacturing Precision High Frequency Welded Pipe Mill. In February 2011, Shanghai Qiyuan International Trade Co., Ltd was founded. 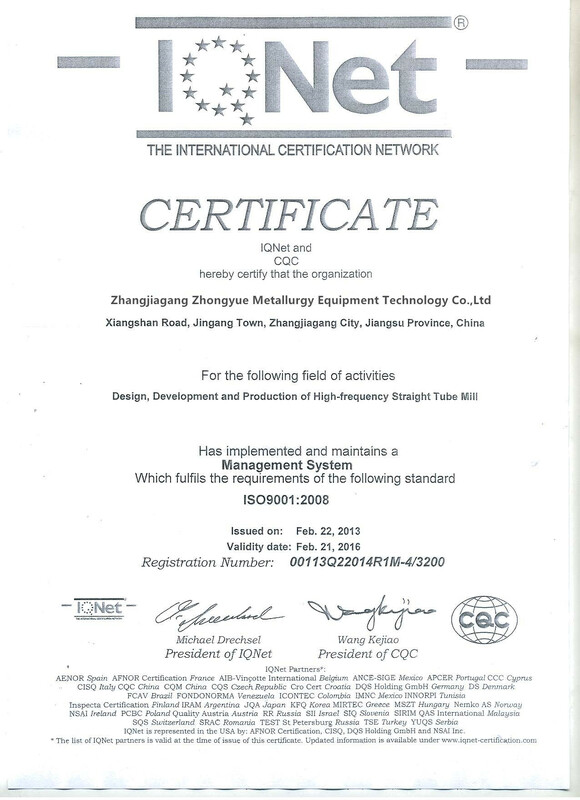 In December 2011, Qiyuan Resources Co.,Ltd.was registered in Republic of Seychelles. In 25th May 2014, Zhangjiagang ZhongYue Metallurgical Equipment Technology Co.,Ltd hiving off from Group and into an independent company specialized in Tube mill manufacture, metallurgical equipment design and manufacture, special tubes production etc. 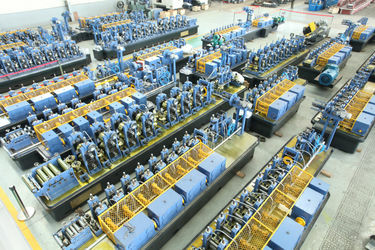 High-frequency welded pipe lines are widely used in different pipes making industries, for example, the pipes used for such fields as automobile, bicycle, motorcycle, sports equipment, steel furniture, leisure goods, transformer, decoration and structure, water, conduit, chemical and pharmaceutical delivery, low-pressure fluid, low & medium pressure boiler, high-precision cylinder and hydraulic support, deep-well pump, welded pipe made of a steel grade above X60, high pressure boiler, casing of oil and gas well wall, petroleum pipeline , transfer gas, water and oil in the natural gas industry etc..
By far, in domestic , our products have been sold to many major manufacturers. On abroad, the products have exported to more than fifty countries and zones including Asia, North America, South America, Europe, Middle East, Southeast Asia and Africa etc..We have received the consistent high praise from the domestic and foreign customers already. With all the efforts of the team memebers,we are growthing quickly. Skilled marketing team make sure your demonds can be transit to our designing office and your product can be design and produce in your desire. Skilled designing team could understand your special request and give your company perfect drawing which match the contract. Experienced manufacturing team make 100% strict follow the drawings given by designing, Make "Zero" compromise on tolerance and quality. Experienced after service team which everyday working on our line, knows how to installation and commissioning the machine as early as possible to save your time and cost, train your team in proper way. United together, we are a excelent team to success our customer.